On this page I will show you a small selection of completed work. Lets start with the outdoor advertising. 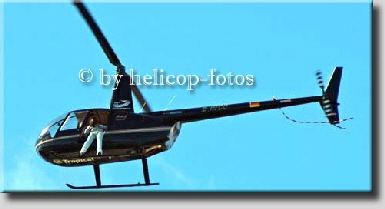 All advertisements include aerial images. 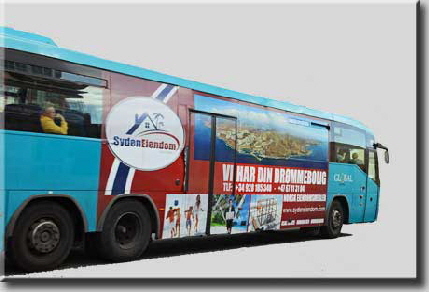 To the left you see a public bus on Gran Canaria with the advertisement for a Real Estate company in the south of Gran Canaria. 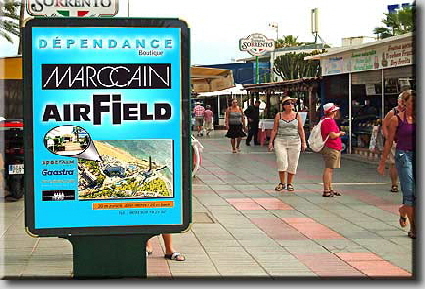 The right image shows a outdoor advertisement for a well - known boutique in a pedestrian area on the beach of Maspalomas. 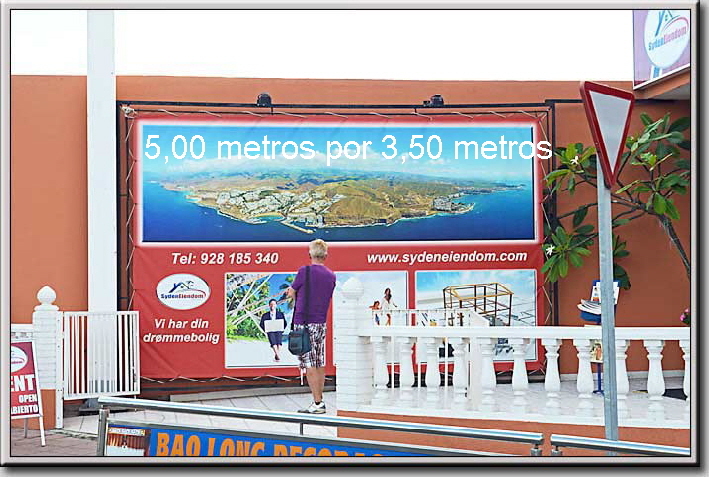 Here you will see a sign outside in the size of 5 meters X 3 meters, printed on PVC with weather resistant UV - ink. The panoramic photos are just decorative. Here they decorate an outdoor area of a chalet in Fuerteventura. It was printed with weather resistant UV - ink. Then the image was mounted on a hardwood frame. In this restaurant in Morro Jable, Fuerteventura, the images were printed on photo paper and then framed behind glass to size. The result is beautiful. 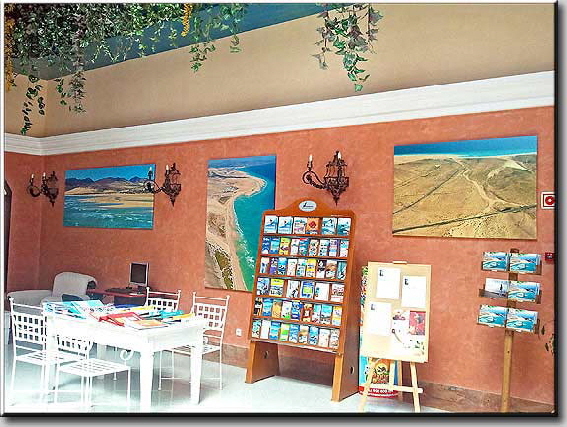 Here, the aerial images of the area nearby beautify a wall in the lobby of a hotel in the Costa Calma, Fuerteventura. They help the tourists to orientate themselves. This restaurant in the shopping centre LA MAREA in Arguineguin, Gran Canaria, decorated al the walls of the large dining room with panoramic aerial pictures. A fantastic thing for all guests. 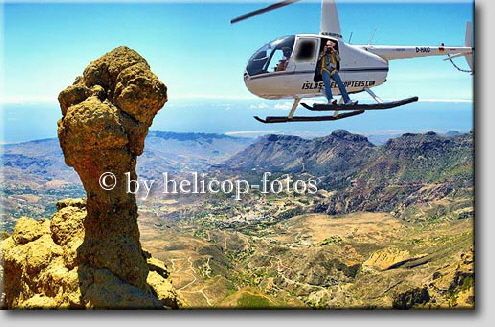 Panoramic photos are very representative, decorative and help to orientate. Here in a conference room. Here you can see me directly at work. So my panoramic aerial images arise.